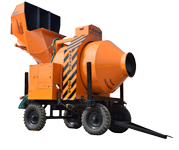 These Reversible Drum Concrete Mixers are compact with two bag cement mixing capacity. Highly favorable in places where transport is difficult but high grade concrete mixing is required. Weighing System Load Cell based weighing system with digital display. Load Cell based weighing system with digital display. Weight 1800 kg. 2150 kg.